A wedding photographer captured the touching moment when a service dog dressed in a pink tutu calmed a bride just moments before she walked down the aisle. Valerie and Andrew Parrot, who married on Jan. 9 in Sioux Falls, South Dakota, were accompanied by their service dog Bella during the ceremony, Fox 25 reported. 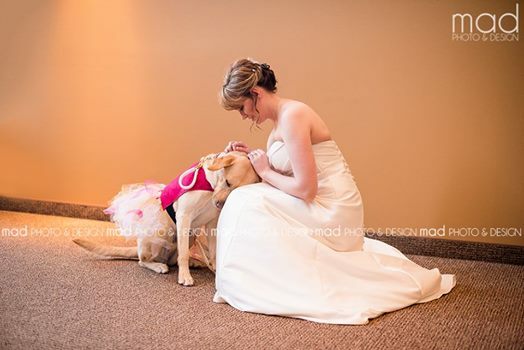 Bella helps Valerie deal with migraines and panic attacks, and even helped walk her down the aisle at the wedding.